At first it looks like ordinary liquid, but in fact it is real magic. It has been fully developed formula and it has safety certificates. Huge bubbles and a beautiful scent - this is the hallmark of our elixir. This is a guarantee of great fun and joy for the whole family. It has been awarded many times. In the race for quality it is just the one. The Tuban brand liquid was produced in accordance with the PN EN71 standard, i.e. the toy safety standard. It has the CE mark, chemical and bacteriological safety certificate. It brings joy in Poland and around the world. 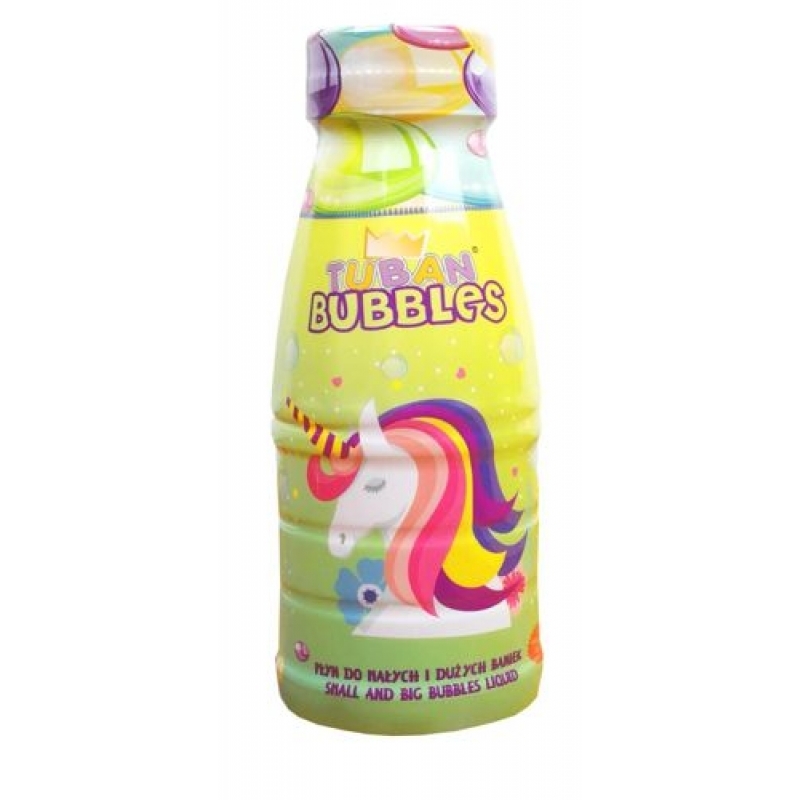 Perfect for: large bubbles, bubble tunnels, Closing in a bubble, additional to all kinds of bubble toys - pistols, swords, generators, bubble tricks. How to use it? Pour the liquid into a bowl or a bucket. Soak one of our accessories in it. That’s all! You can start the adventure with bubbles. The liquid can be used by amateurs and professionals. You can use it with all accessories. It is also great for filling bubble generators. It is safe, created in accordance with European standards. The Tuban brand liquid was produced in accordance with the PN EN71 standard, i.e. the toy safety standard. It has the CE mark, chemical and bacteriological safety certificate. You can just blow in circles attached to the cap - this is how you practice your mouth!